It might have been the best picture of the 2018 Monster Energy NASCAR Cup Series season. No. 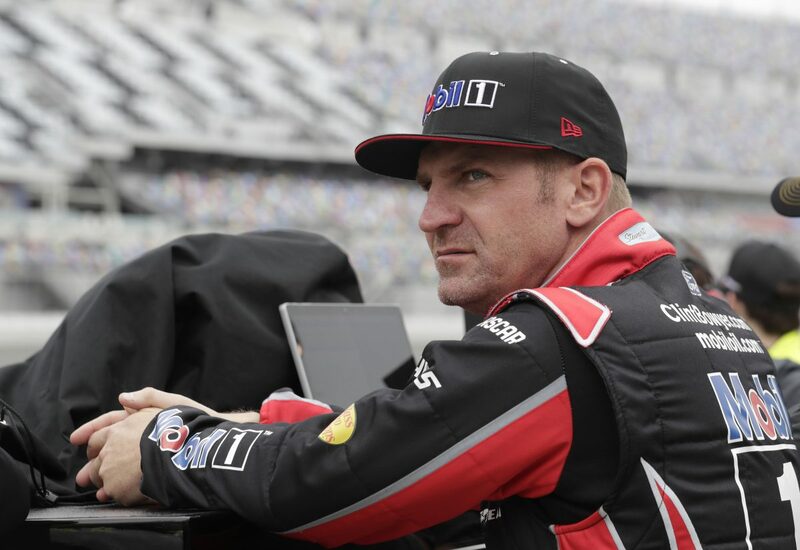 14 Mobil 1/Rush Truck Centers Ford Mustang driver Clint Bowyer had just ended his 190-race winless streak and notched his first victory at Stewart-Haas-Racing (SHR) driving the organization’s famous No. 14. Bowyer climbed from the car on the Martinsville (Va.) Speedway front stretch and looked to his left to see his wife Lorra and daughter Presley led by then 3-year-old son Cash running from turn four toward Dad. He couldn’t resist running toward his family. “You know I make fun of these other drivers sometimes for having tears in victory lane, but I’ve got to admit that moment got to me,” said Bowyer with a laugh about embarking on a raucous victory celebration that saw him climb into the stands with the Martinsville fans who stayed in Southern Virginia an extra day because snow cancelled the race scheduled for the previous day. Bowyer said Cash still asks him when he’s going back to victory lane. Bowyer should be one of the favorites once again this weekend at Martinsville. In addition to his March victory on the flat, half-mile oval, he owns six top-five finishes and 15 top-10s in 26 starts there. Located just 90 minutes from his Mocksville, North Carolina home, he says the facility reminds him of the roots of the sport. “Martinsville for me is my new home track,” he said. “Everybody lives down in the Charlotte area. We live up north – Winston-Salem area. That’s my home track. That’s the one racetrack you drive back and forth on qualifying day, then go back up there for the race. Bowyer arrives at Martinsville after the Cup Series’ three-race West Coast swing. He finished 38th last weekend at Auto Club Speedway Fontana, California, when mechanical issues ended his race early. That finish, coupled with a 20th at Daytona, fifth at Atlanta, 14th at Las Vegas and 11th at Phoenix, has Bowyer 15th in the standings. His SHR team has had a great deal of success at Martinsville Speedway, as well, posting four wins, 10 top-five finishes and 24 top-10s in 62 starts. That would make the Bowyer family happy. Where is the grandfather clock you won at Martinsville last year? Was winning at Martinsville a shock?